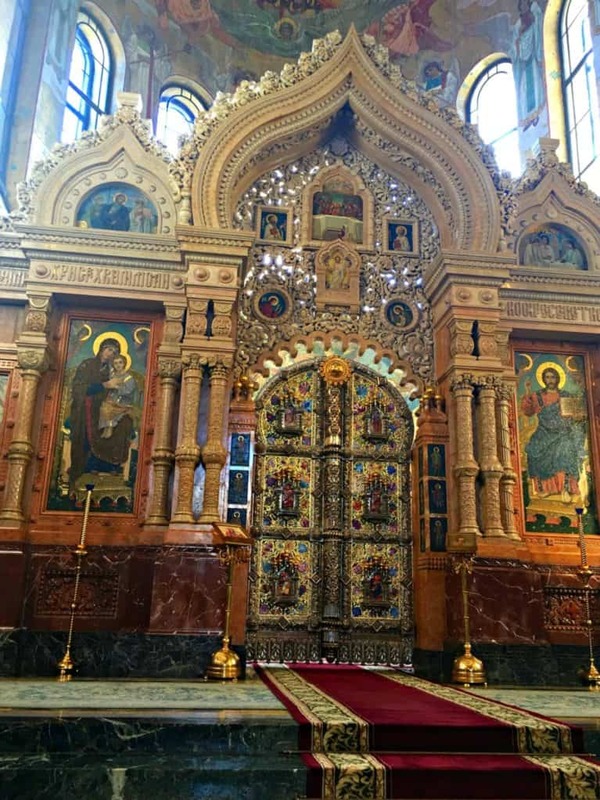 My 5 favourite places to visit in St Petersburg Russia. 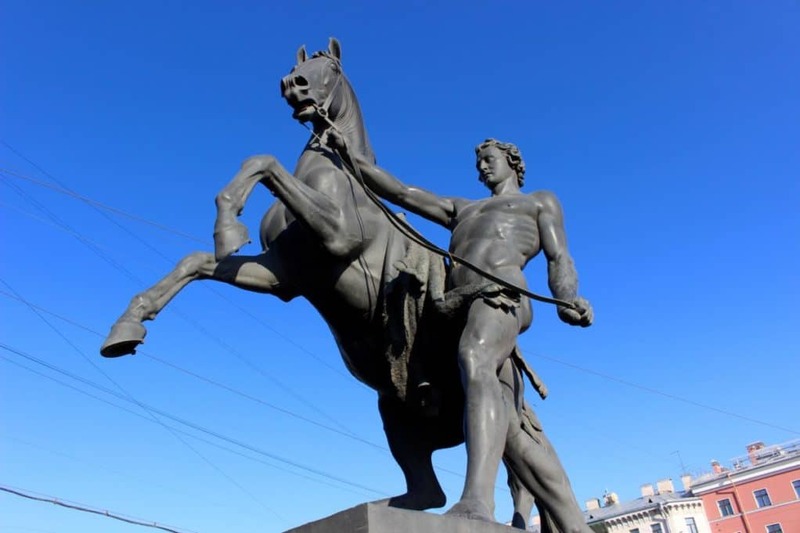 I knew so little about St Petersburg before my visit. The city was such a surprise and delight, stunningly beautiful, with so much to see and do that I need to make a return trip! The city is clean and safe. I travelled alone and pottered around all over the place quite happily. 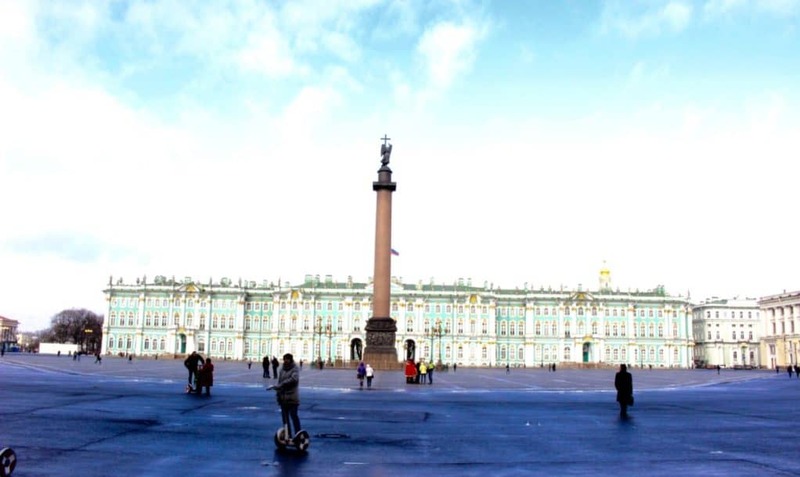 You will see so much more travelling independently, free to explore the city and meet Russian people. I would say to my fellow solo travellers, do not hesitate to go to Russia alone. I felt perfectly safe at all times, did not receive any unwanted attention and really enjoyed the experience. I do not speak any Russian at all and coped perfectly with sign language! However, if I visit again I will make sure to equip myself with a translation app on my mobile phone. If you need to ask questions/directions it is best to ask a younger person, they are more likely to speak english. The cars are driven by polite drivers, driving seems to be very straightforward and I would happily drive on another trip. the people of the city are so polite, friendly and helpful. I am sure you will find it as enchanting as I did. 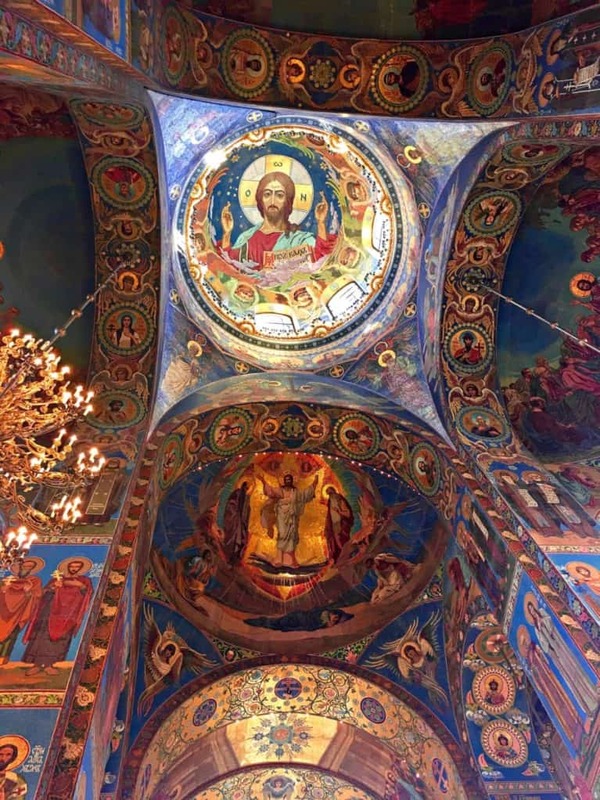 Here are my 5 favourite places to visit in St Petersburg. 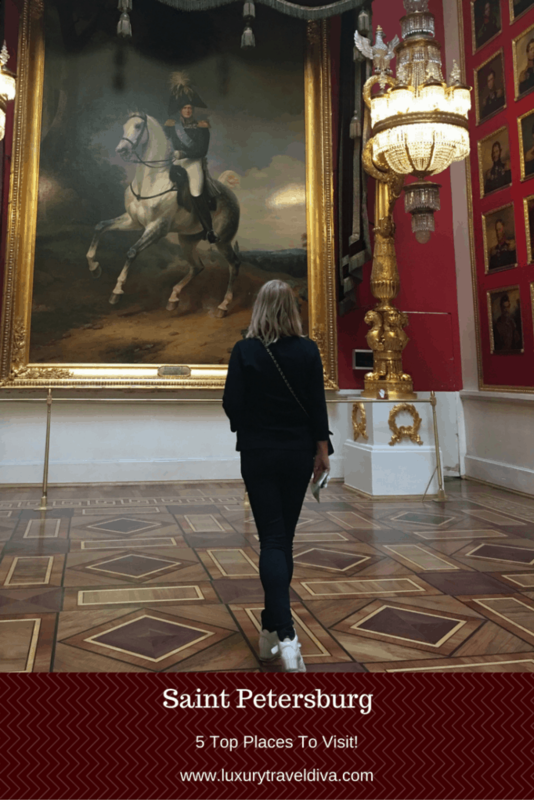 Top of my list to visit was The Hermitage Museum and it was a very special day. TOP TIP: Buy your ticket online before you go to save time. 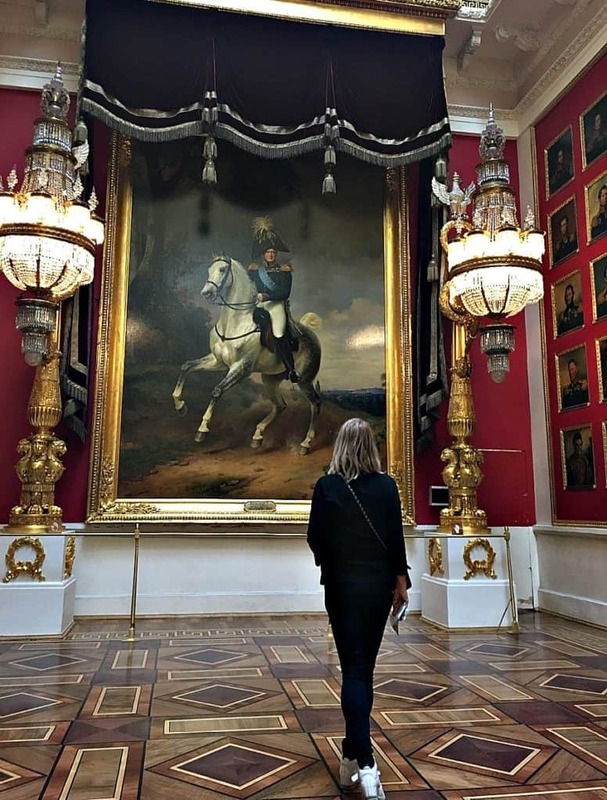 The Hermitage Museum, otherwise known as The Winter Palace is at the top of every wish list for a visit to St Petersburg and with good reason because it is stupendous. I spent an entire day exploring the museum and will definitely return to see more of the exhibits that I missed first time round. 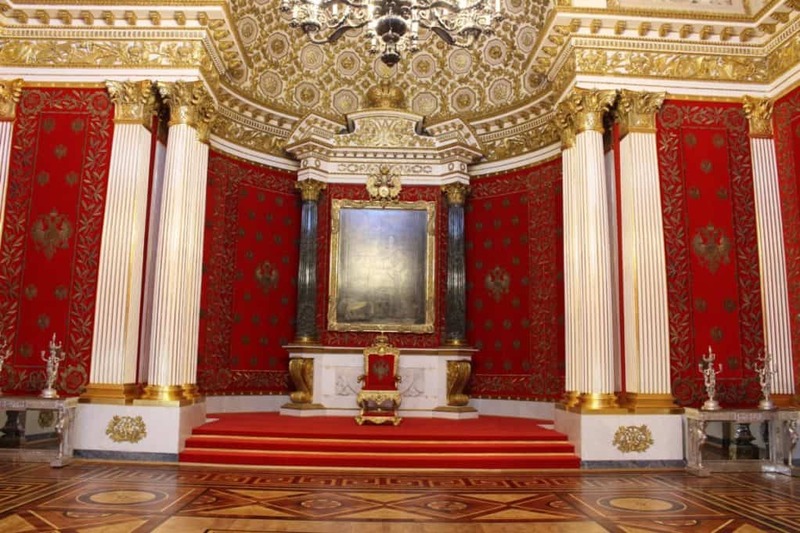 The Palace was built in 1754 by the architect Ristrelli on the order of Empress Elizabeth Petrovna. She wanted to construct a palace that eclipsed all other european Palaces. It is vast, beautiful and such a fascinating museum now. I am going to write a complete blog dedicated to this amazing museum, so take a look at that if you would like more information. Then take a short walk from the palace and you will find The Church of the Spilt Blood. I used my google map app on my iPhone to help navigate around the city. This is such a beautiful church. Built on the site where Emperor Alexander II was assassinated in 1881. Beautifully restored and reopened in 1997 it is now a museum of Mosaics. Spectacular and beautiful a must visit. Then take a walk a couple of blocks to Nevsky Prospect. See the beautiful Singer building. Go inside and take look at the fantastic selection of books about St Petersburg in so many languages. Upstairs is a charming cafe. The serve delicious soups ands cakes. 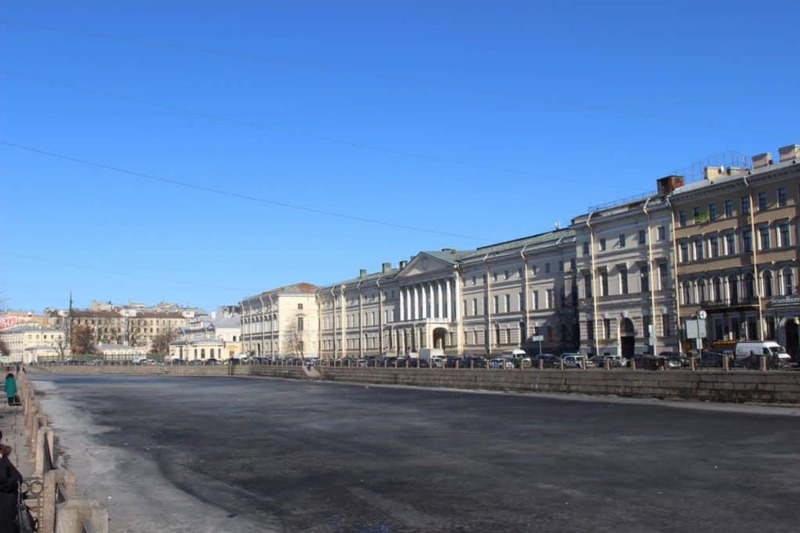 This is the main street running from Neva River and is nearly 5 miles long. You will enjoy taking a stroll along this special street. 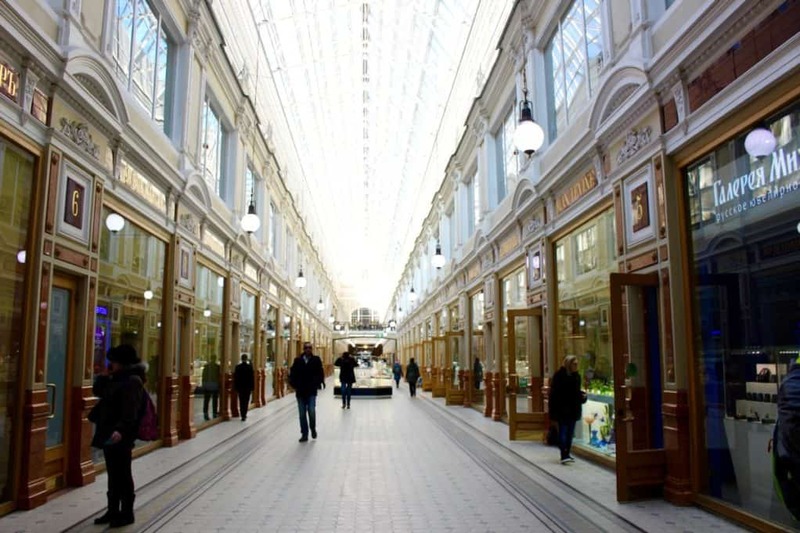 Here you will find great shops and charming little arcades. 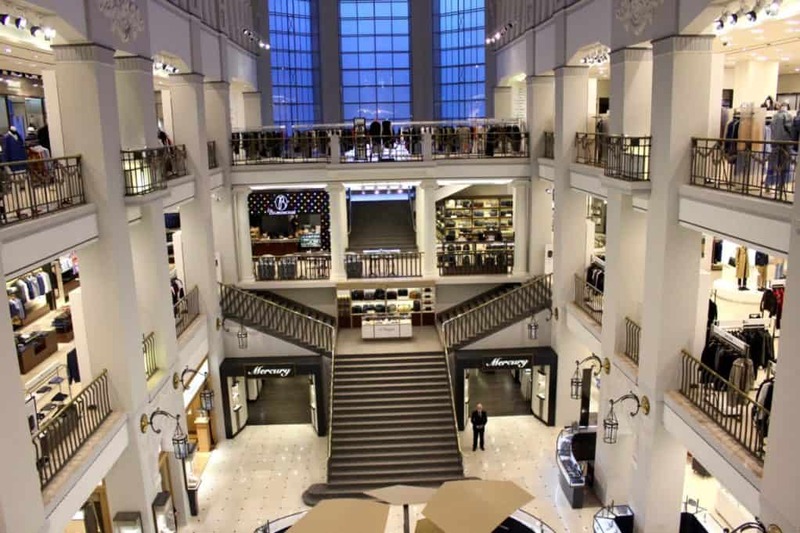 A fantastic department store stocked full of International designers. I didn’t find many Russian designers here. Find some well known high Street stores here too, although it is kind of weird to see Lush and Zara. 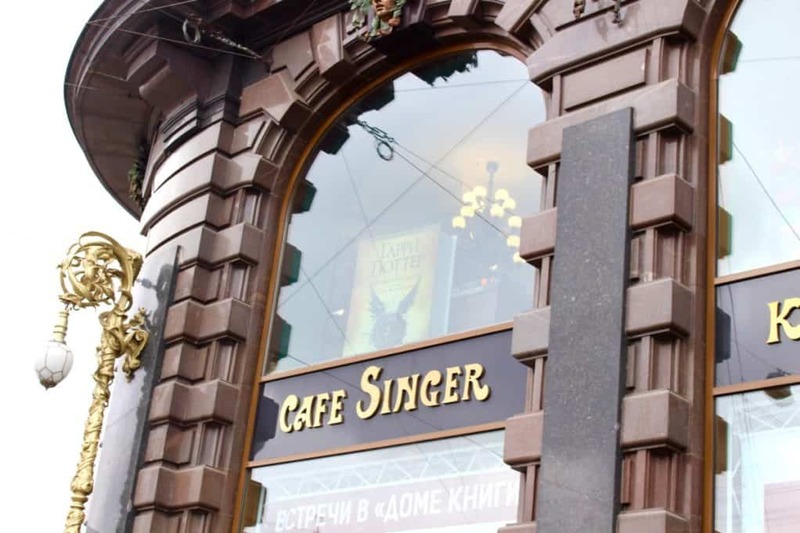 One of my favourite places on Nevsky Propsect is The Singer Cafe. Go inside and take look at the fantastic selection of books about St Petersburg in so many languages. Upstairs is a charming cafe with a lovely view of Kazan Cathedral. his Cafe is a hangout for locals, I didn’t see other tourists there so I am sure you will enjoy it! 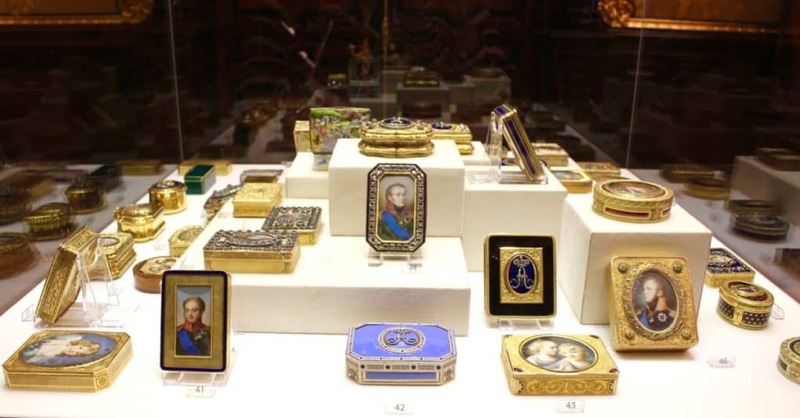 Also make sure to visit the Faberge museum. 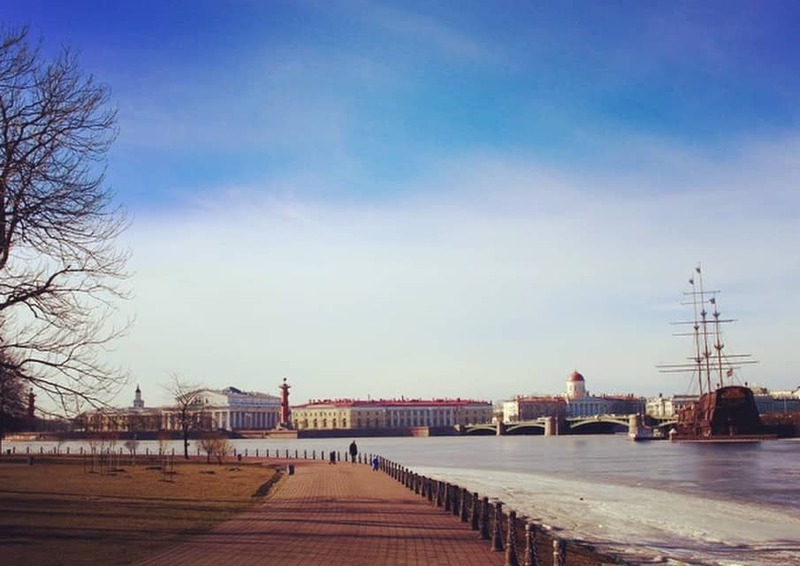 take a left by the Fontanka Canal and you will find the Faberge Museum on the Fontanka River Embankment This is a treasure trove of wonderful Faberge eggs and other objets d’art housed in the beautiful Shuvalov Palace. 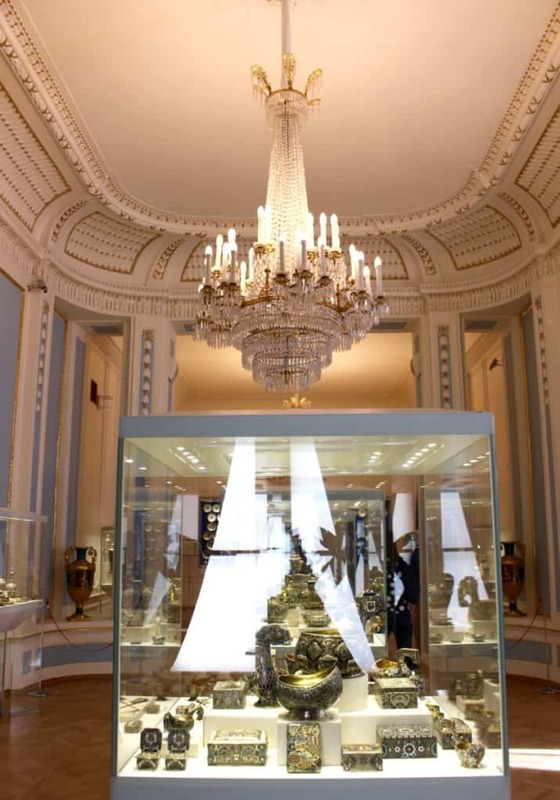 The museum is privately owned, founded by the Link of Times foundation to repatriate lost cultural treasures to Russia. The worlds largest collection of Faberge is housed here. Finally end your day with a trip to the Mariinsky Theatre. Opened in 1860, it is famous throughout the world for ballet, opera and music. I enjoyed a wonderful evening here. However, remember to book your tickets well in advance because it does get booked up. If walking isn’t your thing, taxis are really cheap and there is always the famous tube. The hotel also organised a car for me to get to and from the airport and for a day exploring Saint Petersburg. Taxis: Be careful of just hailing a cab in the street. I was told to go to a hotel/tourist office and order a cab. Getting a Visa for Russia: This can seem a little bit complicated, but as long as you are organised (not my speciality as I am hopelessly disorganised!) it is fine. Just remember you need to book your hotels before you apply for the visa and ask for an official invitation from the hotels. I filled in my Visa application online and then went to the Visa Centre with my form, passport and official invitation. I collected the Visa a week later. You can get a 24 hour visa if necessary but it is expensive. 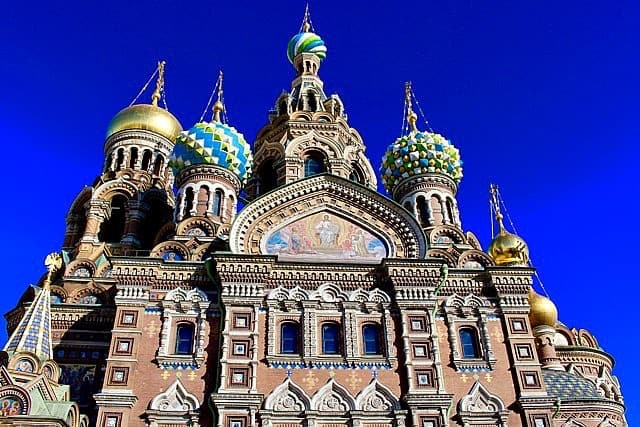 Prices: I found Saint Petersburg to be very affordable and the hotels are cheaper than in other cities around the world too. Contact me if you want any more information or advice about a trip. How about going to Moscow too! Previous Post 3 Days in Corfu – Where to go!